Helsinki Poetry Connection ry:n sääntömääräinen vuosikokous järjestetään perjantaina 29.4.2016 klo 18.00. Kokouspaikkana Nuoren Voiman Liiton tilat, Fredrikinkatu 23 D 4, Helsinki. Kokous loppuu noin klo 20. Kaikki yhdistyksemme jäsenet ovat oikeutettuja hakemaan hallituspaikkaa. Kukin tiettyä hallitusroolia hakeva jäsen esittäytyy vuosikokouksessa ja kertoo läsnäolijoille kiinnostuksestaan hallituspaikkaa kohtaan. Yhdistyksen jäsenet päättävät tämän jälkeen uuden hallituksen kokouksessa sovitun äänestyskäytännön mukaisesti. Lisätietoja nykyiseltä puuheenjohtaja Aura Nurmelta: aura.kanerva@gmail.com tai puhelimitse 0440401882. Kokoustilaan ei ole valitettavasti esteetöntä pääsyä. Voit kuitenkin myös sähköpostitse lähestyä meitä, jos sinulla on kiinnostusta hallituspaikkaa kohtaan. Jos sisäpihan portti on tullessasi kiinni, soita Aura Nurmelle. Helsingin karsinnan voittaja saa palkinnoksi 50 euron lahjakortin Ondaan sekä pääsee edustamaan pääkaupunkiseutua Kuopiossa järjestettävään finaaliin 21.5.2016. Kuopion finaalin voittanut lavarunoilija edustaa puolestaan Suomea Pariisissa järjestettävissä MM-kilpailuissa keväällä 2017. Tilaisuuden järjestävät Helsinki Poetry Connection ja Nuoren Voiman Liitto. Tapahtuman juontaa runoilija Harri Hertell. Vapaa pääsy, tule mukaan kisaamaan tai seuraamaan mittelöä! Jonne Piltonen on oululainen runoilija, joka yhdistelee räpin ja runouden elementtejä intensiivisellä ja vaihtelevan rytmikkäällä otteella/esiintymisellä. Kääntöpuoli tulee esittämään rujonkauniin räppisettinsä joka ammentaa hip hopista, spoken wordista ja punkista. Sanoituksien osalta artistia ovat inspiroineet oman mielen ja ympäröivän maailman varjoalueet, luonto, urbaani ahdistus ja jokapäiväisen elämän mystiset ulottuvuudet. Kiisken runoavomikissä kuvio on yksinkertainen: ota runosi, rap-lyriikkasi tai vaikkapa laulusi mukaan ja tule esittämään ne muille! Emme ole katsoneet kelloon esitysten aikana vaan jokainen saa esittää settinsä loppuun, harkintaa kuitenkin käyttäen. Meillä ei ole ennakkoilmoittautumista ja paikan päällä on mahdollisuus liittää biitit ja vaikka skeba PA:han. Jonne Piltonen, a young poet from Oulu. He combines elements of poetry and rap with intensive and rythmic performance. Kääntöpuoli will present his rap set with influences from hip hop, spoken word and punk. His lyrics are inspired by the human mind, the grey areas of the world, nature, urban anxiousness and the everyday mysticism of life. Kalle Talonen is a performance poet from Turku who also works as radio host and as a journalist. With Your help our campaign was succesful! 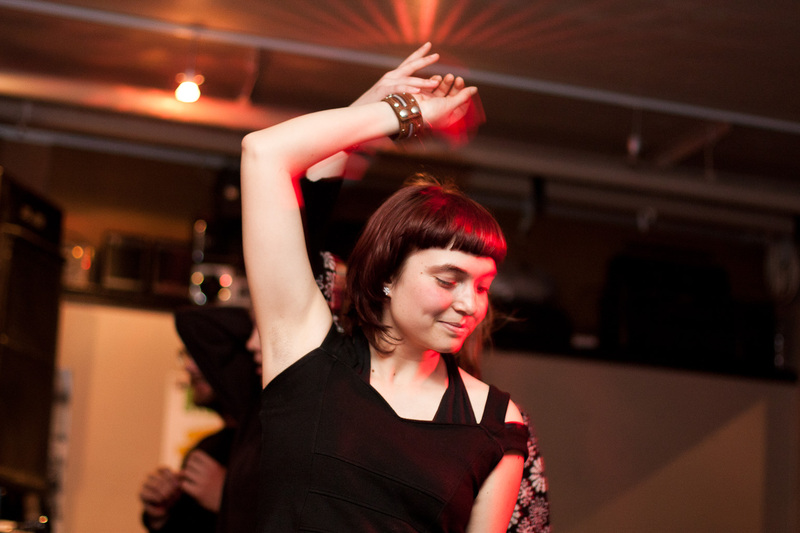 Save the Poetry Jam, Finland’s hottest live poetry club! 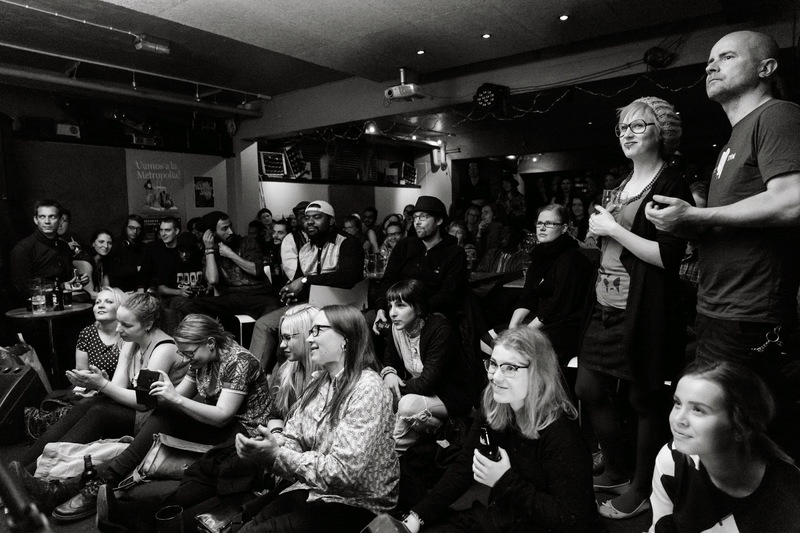 The flagship event of cultural collective Helsinki Poetry Connection, the ultra-popular Poetry Jam club, needs your support! Since 2009, the Poetry Jam has been a place where likeminded performers, whether beginners or grand masters, can come together, meet one another, enjoy verbal art at its best, and hone their skills on stage. We’ve hosted hundreds of poets, authors, rappers, spoken word artists, DJs, open micers, musicians, comedians, performance artists, and everyone who loves their material have had the chance to see and meet them all live. All of this for free. The Poetry Jam club, which has been organized for the past seven years with cultural association Nuoren Voiman Liitto, finds itself without sufficient funding for the first time in its history. You can help us make all six Poetry Jam clubs of 2016 possible! We at the Helsinki Poetry Connection believe that performance poetry culture is only just burgeoning in Finland, and we have yet to meet a single obstacle or challenge that would curb our spirit. We’ve been able to offer a platform for a new form of connective and collaborative subculture for verbal art of all forms in exceptional and award-winning style. 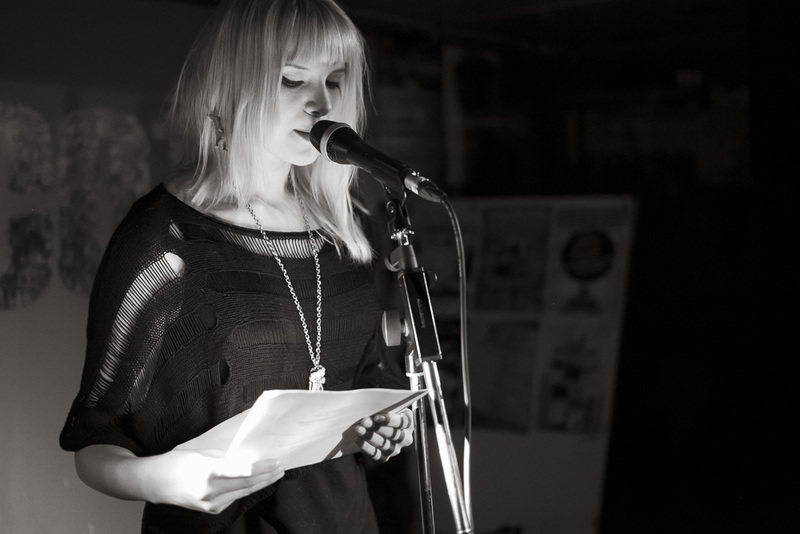 The Helsinki Poetry Connection has been instrumental in introducing Finland to the open mic concept, which has taken off in the past few years and become a pastime all over the country. Spoken word artists and other rising performers have found a place to be and a fanbase to treasure, with new stars being born constantly. We average about 4,500 audience members a year, which is a stunning figure that has continued to grow each year. An estimated 2,500 open mic performers have taken to our stages from all walks of life and all ages, and offered us all unforgettable experiences. We are where the roles of artist and fan mingle, where everyone is on the same page and has an opportunity to express themselves at our regular events. A number of international guests also grace our clubs each year, which in 2015 featured a number of hot spoken word commodities, among them the mesmerizing de facto US performance poet lauretae Sarah Kay. Performers regularly describe the atmosphere of the Poetry Jam club as one of the best they’ve ever encountered. At this time, the Helsinki Poetry Connection’s grant-based funding streams have experienced a drought. We have done our best to get by with what we have been offered so far, which we have accepted with great gratitude — but the numbers don’t add up. 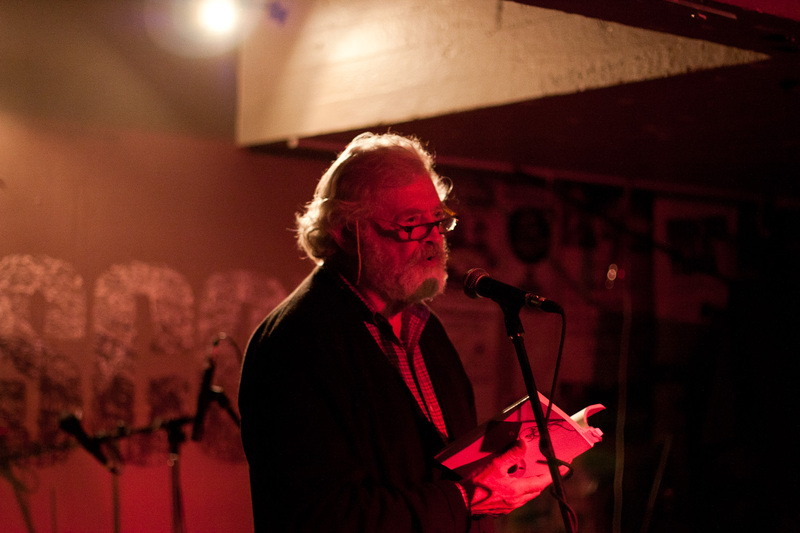 Our main concern is offering extremely high-grade live culture to everyone regardless of their economic situations, which is why the Poetry Jam club has always been free of charge for its audience members. We want to keep it that way, but without saviors like you our hand may be forced. We are also adamant in wanting to pay fees to all the performers, producers, hosts, DJs, photographers, and graphic designers who work tirelessly to make the Poetry Jam what it is today. The Poetry Jam club series is under threat of being cancelled in spring, 2016 due to lack of funding. Applications have been sent for additional funds but none has as yet been received. The club is run by volunteers. Now, with your help, we aim to save this cult classic poetry club and the pride of Kallio’s Cafe Mascot. Every euro cent of the money donated to this campaign will be used to fund domestic and international poetry, rap, spoken word, open mic and everything else that the Poetry Jam club entails. In the spirit of transparency, any patron will be granted access to a report on the use of the funds gathered. Choose one of the five different sums to donate and click “FUND”. If we are unable to raise the minumum goal by the end of the campaign your money reverts straight back to you. Transaction fees come to 0.90 euros per donation. 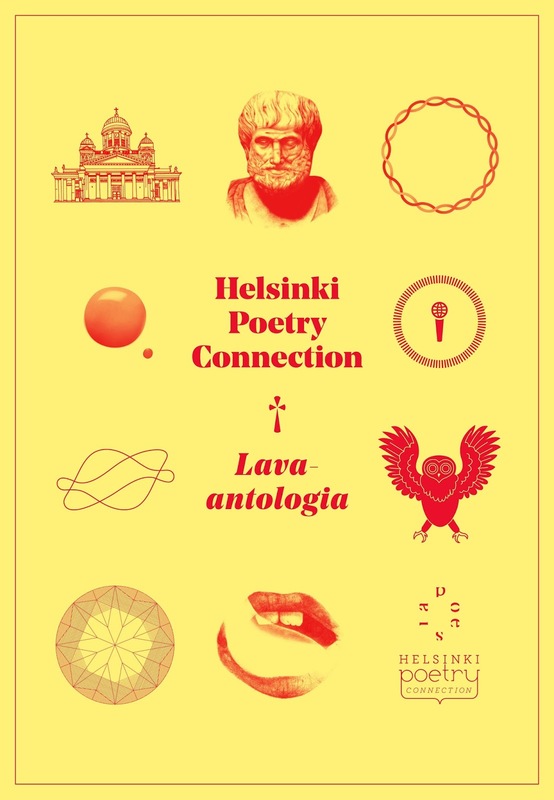 Membership in the Helsinki Poetry Connection for 2016 (value 10 €), the Lava-antologia book detailing the HPC’s live poetry scene (Poesia 2013, value 30 €, includes poems and an essay in English, pick-up from our events), a certificate for supporting Finland’s live poetry culture. All the same rewards as in Pikku-Hojo, plus a unique Helsinki Poetry Connection canvas tote bag. Membership 2016, anthology, certificate, HPC canvas bag, plus a poem/rap song/spoken word text written and performed by a member of the collective! Book a poet, rapper, or spoken word artist to perform at your event in the Capital Region. Book two highly skilled poetry instructors to come hold a performance/writing workshop in a place of your choosing in the Capital Region. You get the logo and name of your company or association in all of the Helsinki Poetry Connection’s posters and event descriptions for the whole of 2016. 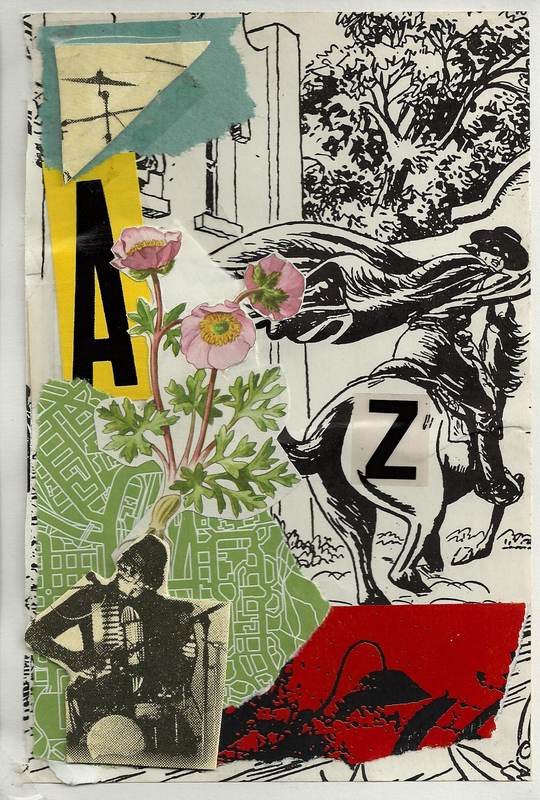 The Poetry Jam club is held six times a year and each night is marketed with unique poster art. Each Poetry Jam night draws crowds of some 300 people. The Kiiski Open Mic event is monthly and is also advertized with posters that are then left on the walls of the venue for years as decorations. Your logo and name will also be used wherever we announce our events or communicate with our members; meaning our blog, website-to-be, Twitter, and Facebook. You’ll get this in addition to booking one of our talented performers for your event in the Capital Region, as well as the Lava-antologia book! Om´Pun Galleriassa (Siltasaarenkatu 15) on joulu- ja tammikuun ajan esillä Helsinki Poetry Connectionin jäsenten runokuvateoksia eri tekniikoin toteutettuina. Näyttelyssä on mukana yhdeksän taiteilijaa. Helsinki Poetry Connection on toiminut kollektiivina open micin, lavarunouden, spoken wordin ja yhteisöllisen kaupunkikulttuurin puolesta jo yli 7 vuotta. Monet HPC:n aktiivijäsenistä ovat tekemisissä eri taiteenmuotojen kanssa, ja runouden yhdistäminen muihin taiteisiin on havaittu vuosien saatossa äärimmäisen toimivaksi. Tällä kertaa kuva kohtaa sanan HPC:n ensimmäisessä virallisessa gallerianäyttelyssä! Avajaisia vietetään sunnuntaina 06.12. kello 18 – 21, tervetuloa! Alkuillan DJ:nä on Dxxxa D & co. ja loppuillan selektioista vastaa DJ Tixa. Om´Pu Galleria on avoinna joka päivä kello 09 – 02. For all of December and January, the Om’Pu bar and gallery (Siltasaarenkatu 15) will be home to an exhibition of visual and verbal art from some of the Helsinki Poetry Connection’s staunchest supporters, who also happen to be cross-disciplinary artists. 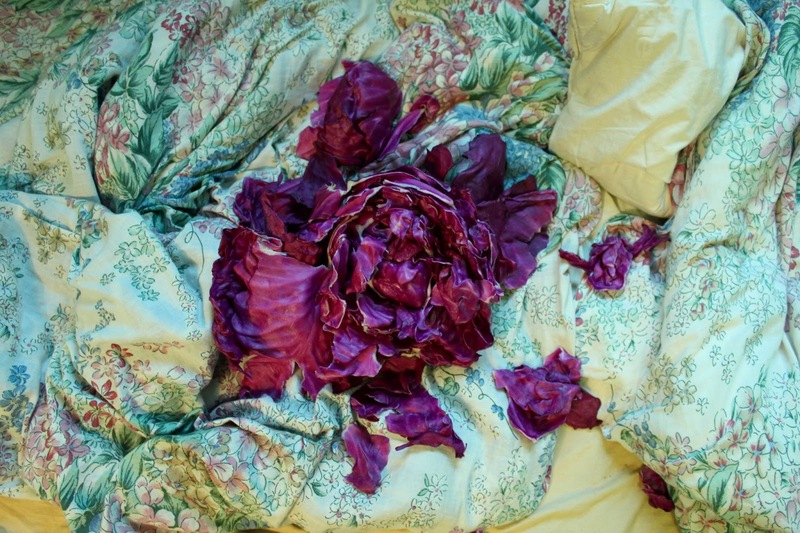 Nine active members are featured in the exhibition. The Helsinki Poetry Connection has worked tirelessly for the good of performance poetry, open mic, spoken word, and inclusive urban culture for more than 7 years. In that time we have seen just how effective combining different artforms can be — whether on stage or off. This is our collective’s first ever joint art exhibition! Join us for the opening on Finnish Independence Day, Dec 6, 2015! Dxxxa D on helsinkiläinen lyyrikko, muusikko ja kuvataiteilija. Marika Halonen on kuvataiteilija, joka työskentelee enimmääkseen valokuvan ja videon parissa. Kiinnostuksen kohteina katutaide, oman jäljen jättäminen, ihminen valloittajana, ihmisen suhde luontoon, ihmisen suhde omaan kehoonsa ja seksuaalisuuteensa. Roope Hattu on sanoittaja, muusikko ja kuvataiteilija. Riikka Heinonen on helsinkiläinen runoilija, vapaa toimittaja ja kulttuurituottaja. Hänen runojensa pohjalta rakennetaan tekstiä, ääntä ja kuvaa yhdistävä taidenäyttely Annantalon taidekeskukseen tammikuussa 2016. Sarjakuvataiteilija Petri Koikkalaisen piirrokset käyvät vuoropuhelua naiseutta, parisuhteita ja kalliolaista elämänmenoa kuvaavien runojen kanssa. Jarkko Jokinen on helsinkiläinen runoilija. Hänen viimeisimmän kokoelman kuvituksesta vastasi Teemu Juhani, jonka mustavalkoiset piirrokset tuovat herkästi mieleen Roald Dahlin klassikkoteokset taikka Tim Burtonin hullunkuriset elokuvat. Juho Nieminen on runoilija ja esseisti. Aura Nurmi on helsinkiläinen lavarunoilija. Kasper Salonen (s. 1987) on lavarunoilija ja kollaasitaiteilija. Hänen teoksiaan on ollut esillä Kallio Kipinöi -tapahtumassa ja hänen julistetaidettaan on käytetty HPC:nkin piirissä. Salosen teokset ovat abstrakteja ja symbolisia kuva- ja esinekoosteita, jotka käyttäytyvät runojen tapaan. Tämän vastauksen HPC:n jäsenet ja aktiivit kyllä tietävät: ainakin Poetry Jam -klubilla Cafe Mascotissa! Lue juttu alla olevasta linkistä ja tuntekaa ylpeyden vihlaisu kun hienojen kirjoittajien ja kustantajien joukossa mainitaan tuo vakiintunein helsinkiläisrunoklubi, Poetry Jam. Seuraavat Jamit järjestetään joulukuussa suurena open mic -teemailtana. Sitä ennen on kuitenkin Helsinki Word Festival, Suomen ainoa kolmipäiväinen lavarunotapahtuma! Käykää tykkäämässä ja seuraamassa Facebookissa! Tervehdys runoväki! Varapuheenjohtajamme Kasper tapasi Yle Puheen toimittajan ja pari muuta open mic -aktiivia Hard Rock Caféssa Helsingissä. Seurasi vajaa puolituntinen fiilistelyä, jolla päästiin lopputulokseen: open mic on mahtava asia! Huom. seuraava Kiiski Open Mic Runeberginkadulla lauantaina 17.10., lisää infoa pian. In the radio interview below the HPC’s vice chairman Kasper talks with two other producers about one of the greatest things they know: open mic nights! The talk is in Finnish, but the gist is that all of Finland is getting on board the open mic train — and the Poetry Connection was one of the first on the scene. The next Kiiski Open Mic event is on Saturday, October 17. Stay tuned for more on that soon! Helsinki Poetry Connectionilla on nyt sekä Twitter- että Instagram-tili! Molemmat tilit löytää nimellä hpc_ry.